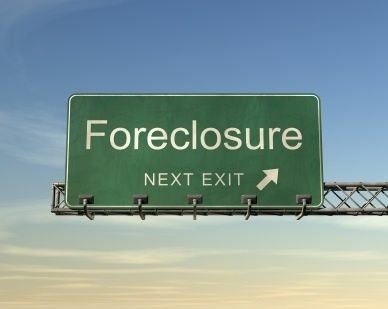 Many buyers believe that they are better suited waiting for a foreclosure. There is a belief among many buyers that that foreclosures represent an opportunity to obtain a property at a lower than market price. For a limited few, it does. For everyone reading this blog, they most likely do not. More on that in a minute. A foreclosure sale refers to a property which has gone through the foreclosure process an ended in the property returning to the lien holder, usually the bank with the mortgage on the property. The bank then prices the property at a price that is sure to attract attention. The bank’s goal is to get rid of the property at a fair price as quickly as possible. On the surface, this premise may seem like a deal for prospective buyers. Two items to note here (1) the properties that are at very attractive prices have already been purchased on the courthouse steps and never made it to the MLS; and (2) there is currently enough demand in San Carlos to send a property to multiple bids if it comes on at a lower than Fair Market Value (FMV). So you are probably wondering why you can’t take advantage of bidding on property on the courthouse steps and obtain a true foreclosure value. Do you have a cashier’s check for the full amount of the lien? In San Carlos, this is normally anywhere from $500,000 to $1,000,000. If you have this much cash, you’re still in the game. Keep reading. Now, your only other obstacle is to out bid other potential buyers. Good luck. There are about twelve individual investors that show up to these courthouse auctions. They all know each other. If they don’t know you, you won’t be walking away with a property. They each come with stacks of cashier’s checks, all made out in different denominations. They will all get together prior to the auction and look at the list of properties up for sale. They will divide all of the properties up so that they do not bid against each other. On this particular day, each property went for exactly $.01 over asking. None of them bid against each other. Once they received their property they simply left the courthouse. It was made very clear that if someone unknown to them suddenly tried to partake in the proceeding, the dirty dozen would spend whatever was necessary to keep that person from getting a property. Sound bizarre? It may very well be, but it’s also reality. Few buyers really understand the foreclosure process and who exactly is involved. Because of the continuing demand and low inventory in San Carlos, foreclosures rarely add up to a bargain price for the average home buyer. Special thanks to Dan Robinson, who is a realtor with ReMax Today for his contributions to this post. Forgive my naiveness regarding the foreclosure process, but the courthouse bidding scenario sounds like some weird cult foreclosure club. Seems to defeat the purpose of a public auction if there is an exclusive agreement between the “in” bidders to outbid any unknown party, but I am sure situations like this occur all the time. I think this would make for a good expose/documentary on the group of 12.